Stomach twitching can be a scary phenomenon to experience. It is hard to know what is happening, why it is happening or what can be done to stop it from happening. As well, since stomach twitching isn’t one of those health issues that is commonly discussed, it is easy to assume you are the only one who has ever experienced these strange symptoms. But the truth is, stomach twitching can happen for a variety of very common reasons, and many people do experience this health issue each year. In this article, learn everything you need to know about stomach twitching, including what causes it, the main symptoms, how it is diagnosed and treated. Actually, muscles all over the body may twitch from time to time, and often there is a perfectly good and very temporary reason for why this happens. 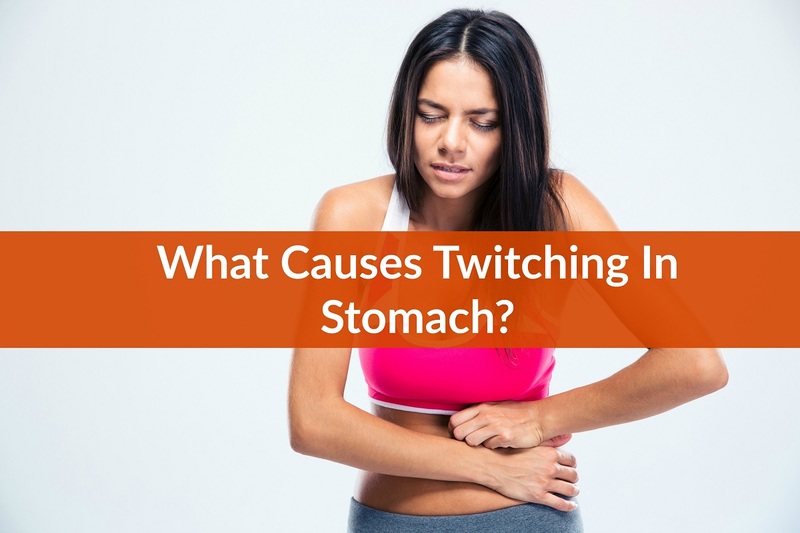 Stomach twitching is no different, but if it continues to happen regularly, this can be a sign that it is time to see professional medical attention. Stomach twitching can arise for a number of physiological reasons. Here, it is very likely the twitching is related to the natural growth and expansion of the abdominal area itself as your baby grows. However, it is still wise to make an ob-gyn appointment to rule out other causes or complicating factors. So for the remainder of this article we will focus on non-pregnancy related causes of stomach twitching. » Dehydration. Muscles often twitch when deprived of hydration and electrolytes. » Muscle overuse. A too-intense workout can cause over-exhausted muscles to twitch involuntarily as they heal. » Bowel issues. Constipation, diarrhea or obstruction in the bowel area can all be a source of abdominal muscle twitching. » Kidney stones. The pain of growing kidney stones can mimic stomach twitching, and the dehydration that often accompanies this condition can cause genuine stomach twitching. » Hypothyroidism (underactive thyroid). When the thyroid gland becomes underactive and doesn’t produce normal amounts of hormones, the metabolic imbalance can cause abdominal muscles to twitch. » Diverticulitis. https://www.thehealthyapron.com/ summarizes diverticulitis as a stomach condition where pouches form along the interior colon wall. (6) This can cause severe abdominal muscle spasms. » Gas. Sometimes a simple attack of gas can cause involuntary muscle twitching in the stomach and abdominal area. » Crohn’s disease. Crohn’s disease and inflammatory bowel disease can cause intense muscle cramping due to an autoimmune issue where the body’s immune system begins to attack the stomach tissues. » Peptic ulcer. The presence of an ulcer basically eats away at the stomach lining and can cause perforation. (8) This painful condition is often marked by stomach cramps and twitching when stomach acids come in contact with the sore and surrounding tissues. » Trauma or injury. Being in an accident or sustaining an injury in some other way can also cause trauma to the stomach and abdomen, which may result in stomach twitching. It is easy to see from reviewing this list of possible causes that causes of stomach twitching can range from common, manageable conditions all the way to serious health issues requiring professional medical treatment. For this reason, if the stomach twitching persists, it is important to seek out the formal medical diagnosis. Stomach twitching can give rise to a number of equally unwelcome and uncomfortable symptoms. However, these symptoms can be very helpful in achieving an accurate medical diagnosis so the proper treatment can be administered. Of course, the most common and well-known symptom of stomach twitching is the sensation of twitching itself. Patients may describe twitching as spasms, contractions, cramping and even hunger pangs. » A feeling of bloating or fullness. » Bleeding in urine or stool. » Signs of abdominal injury such as redness, swelling or tenderness. These symptoms can each be signs pointing to a potential underlying health condition such as injury or illness that is causing the stomach twitching. If possible, keeping a health journal and a list of symptoms along with their frequency and duration can make it easier to achieve a firm diagnosis. Diagnosing stomach twitching with accuracy begins with noting all symptoms that are present, both the stomach twitching, cramping, spasming or contractions and other symptoms that may even appear to be unrelated. The next diagnostic step is typically a full physical exam, with the physician paying special attention to any areas where there is tenderness or pain or swelling. Depending on the complete symptoms list to date, other tests may then be ordered. » CBC and blood chemistry profile. The CBC (complete blood count) will look for key imbalances. For instance, low levels of potassium and magnesium may indicate dehydration, while elevated antibodies could indicate an autoimmune issue. Low blood cell counts can be a warning sign of internal bleeding. » Rectal test. This test looks for blood in the stool, as well as small masses or hemorrhoids that may be causing the stomach twitching. » Pregnancy test. For women, it is important to rule out pregnancy during the diagnostic phase. » Urinalysis. This test looks for blood in urine, which can be a symptom of kidney stones or a kidney infection. » Internal organ tests. Liver and pancreatic enzyme tests can highlight issues with internal organs that may be causing abdominal pain and/or spasming. » X-ray tests. An X-ray can show if there is an internal issue such as a rupture or mass that may be causing spasms or twitching. » Ultrasound. Ultrasound allows doctors to check for abdominal and organ abnormalities. » CT scan. 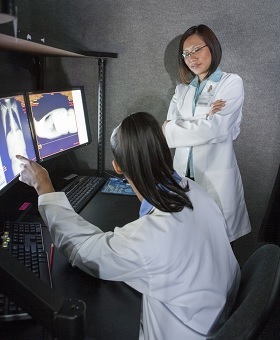 The CT scan can help doctors see internal organs more closely. Typically, treatment will address the symptoms first before moving to resolve any underlying medical conditions. » Antibiotics. To treat an infection (bacterial, fungal). » Acid-suppressants. To treat ulcers, gastritis and acid reflux. » Corticosteroids. To treat inflammation. If you are experiencing stomach twitching that is intermittent or consistent, it is important for your own peace of mind as well as your health to seek medical attention. » Seek out an appointment with your primary care physician. » Have a physical exam and basic blood tests to determine if you should see a specialist. » Pursue diagnostic testing as needed to identify the source of the twitching. » Begin treatment to alleviate your symptoms and address any other underlying causes.